Maytag was founded in 1893 where they produced parts for farm equipment. It wasn’t until 1907 that they manufactured their first clothes washer. After World War II, they began marketing a line of cook ranges, but discontinued their ranges in 1955. In 1982, after the acquisition of Hardwick Stove Company, that they re-introduced the production of their cooking appliances. Since then, Maytag has pioneered its electric ranges, wall ovens, and built-in cooktops. Area Appliance Services offers FREE phone consultations for all types of Maytag stove and oven issues. If your stove or oven is in need of repair, our repair technicians have the knowledge and skills to get the job done right. We proudly services Buffalo Grove, Arlington Heights and surrounding areas. 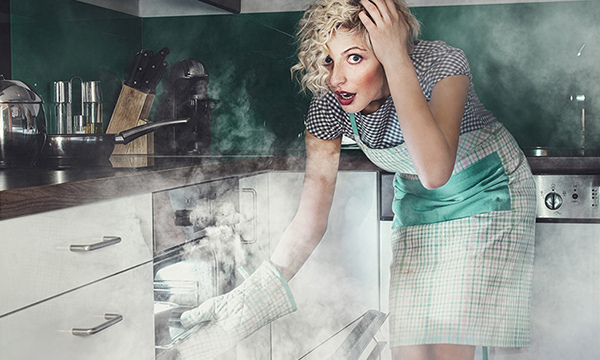 If your Maytag stove or oven stops working, it can be a hassle and blow through your budget. 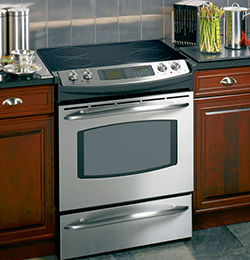 We repair electric and gas cooktops, rangetops, stoves, and ovens without breaking your bank. Our licensed, bonded, and insured Maytag stove and oven repair technicians will call you 30 minutes prior to arriving and will stay until the job is done. Talk to a LIVE customer service representative at (847) 459-8070 or fill out our form to schedule a service appointment. My Maytag cooktop’s vent is not removing odors or vapors. My Maytag cooktop’s vent will not turn on. My Maytag oven fan won’t turn off. My Maytag electric cooktop or stove’s heating element is not heating. My Maytag gas burner does not work. My Maytag gas oven won’t start. My Maytag oven is not self-cleaning. My Maytag range burner sparks all the time. My Maytag oven does not bake evenly. To keep your Maytag stove, oven, or cooktop running like the day you bought it, you should perform some maintenance on a regular basis. Make sure to keep the reflector bowls, burner grates, and stove tops clean by immediately wiping up spills. When you keep the oven door’s exterior surface clean from spills you’ll help to prevent stains on the panel and glass. If spills occur on the inside of the oven, clean the oven immediately to prevent smoke or fire. It is also recommended you clean your oven’s interior 3-4 times a year, or more, depending on how often you use it and how dirty it gets. Schedule Service for Your Maytag Stove or Oven Today! We are a family owned company with over 60 years of repair service under our belt. Our Maytag oven, stove, and cooktop repairs come with our Parts & Labor Guarantee for up to 12 months because we stand behind our repair work. We appreciate your business as we handle your repair needs promptly and at an affordable cost. We are also licensed, bonded, and insured!